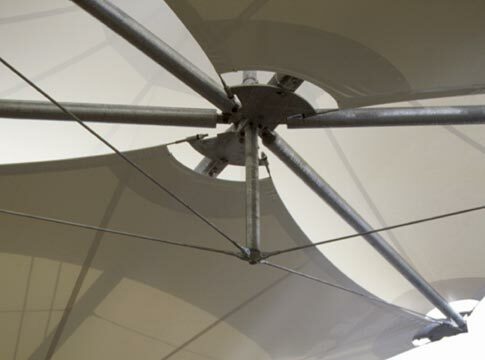 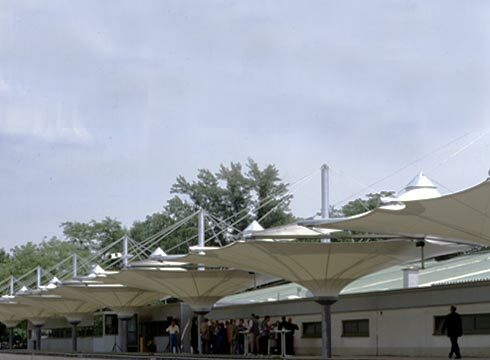 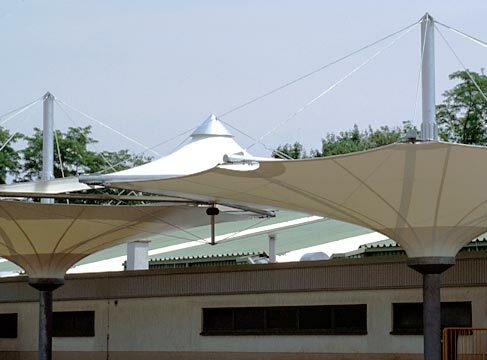 For the new membrane roofing covering the existing tribune, a system of 7 asymmetric umbrellas was developed. 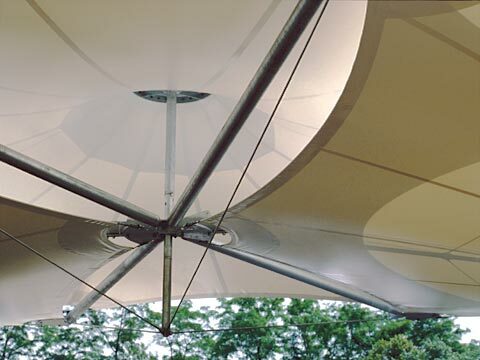 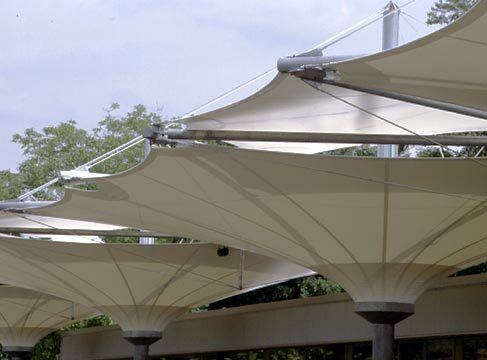 High-point elements are inserted between the umbrellas, carried by suspended small columns. 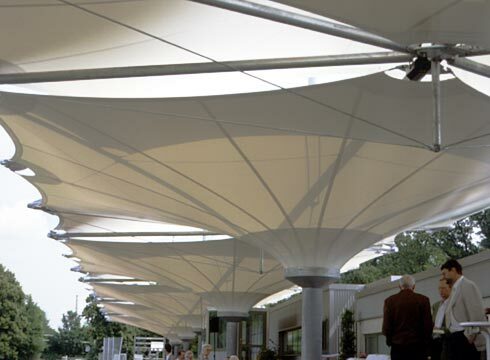 The overlapping Membrane surfaces create a different incidence of light, zoning the long stand between hall and field in an evident way. 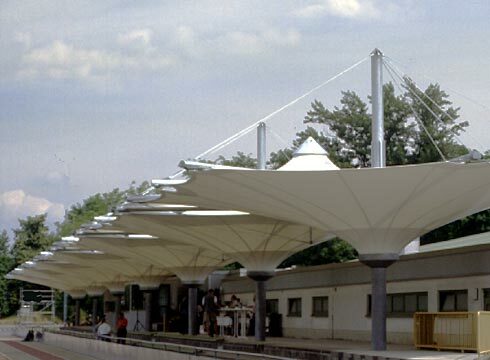 The rain water is drained through the central columns of the umbrellas. 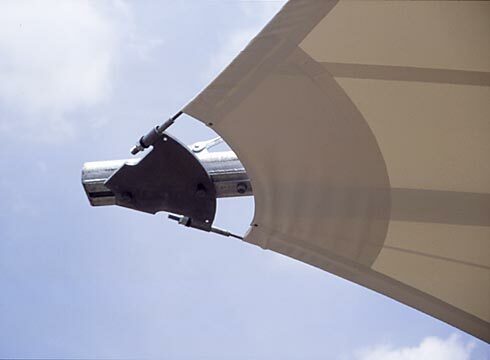 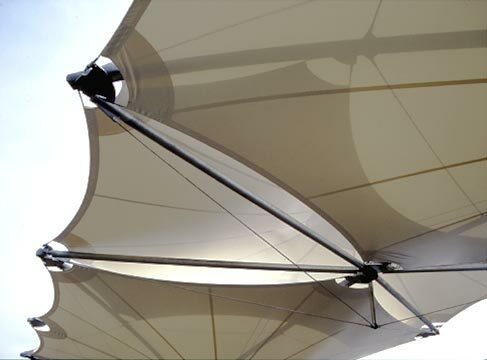 The steel construction is hot-dip galvanized, the membrane fabric is made of pvc-coated polyester. 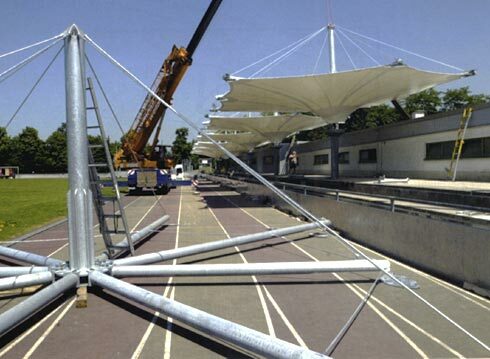 Because of the highly precast elements, a very short time for the assembly was achieved.